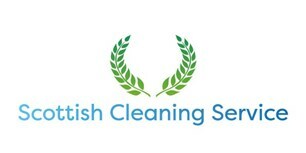 ScottishCleaningService.com - Cleaning Services based in Paisley, Renfrewshire. I retired from the Fire Service in 2013 and Established "ScottishCleaningService.com" in 2014 to specialise in Outside Property Cleaning & General Maintenance (Especially Staging Homes before Selling). Pressure Washing & Soft Washing, Roofs, Driveways, Patios, Walls, and Decking. Cleaning Windows, PVC Fascias, Soffits, Gutters, Solar Panels, Conservatories and anything else the Client Want's Freshened Up or Looking Like New. "Free Estimates Guaranteed"
Paisley, Renfrewshire, East Renfrewshire, Glasgow, Strathclyde Area. I work myself but usually hire friends for large jobs.